A startup data tracker Tracxn has reported that over $9.86 billion (roughly Rs. 67,496 crores) has already been invested in EdTech since 2006. Of this, one third of this amount was invested in 2015 alone. EdTech startups are now a preferred and more trusted way to learn. Definitely, they are here to stay and are bridging a huge gap through the online tutorial platform that is facilitating the learning needs of children in secondary and senior secondary levels. Thanks to the availability of smart phones, tablets and laptops coupled with affordable Internet options, access to quality education, anywhere, anytime has become possible. Claiming to be the world's largest professional certification company with customers from over 150 countries, Simplilearn currently offers more than 400 courses. It basks in the glory of entertaining a panel of over 2,000 industry experts ranging from Data Science, Project Management, Big Data, Digital Marketing, SEO (Search Engine Optimisation) to much more. They have reported to have trained over half a million professionals since its inception. It has been named the eighth-most influential education brand in the world by LinkedIn in its 2016 Education Edition report. The Jaipur-based CultureAlley offers a very happy app- ‘Hello English’ that is enabling Indians to learn English from 15 vernacular languages. It has been reported to be the country's most widely used Android learning app, with over 10 million downloads. Learning English was never simpler. The application is now providing a much needed language education platform, designed by linguists from across the world. It comprises a courseware that is interactive and contextual. The startup has the backing of 500 Startups, Kae Capital, and Tiger Global. Another interesting entrant in this space is Toppr, an entrance exam preparation startup. Founded by Hemanth Goleti and Super-Angel Zishaan Hayath, the online platform provides courses to prepare for state board, medical, and IIT JEE exams. The platform also provides personalized, adaptive learning tests and practice packages that help students ascertain and improve their rank. Toppr has reported to have a base of 690,000 registered students for courses prices its range from Rs. 2,900 per year to Rs. 6,900. Founded by Gaurav Munjal and Roman Saini, Unacademy has become India's largest free education initiative. 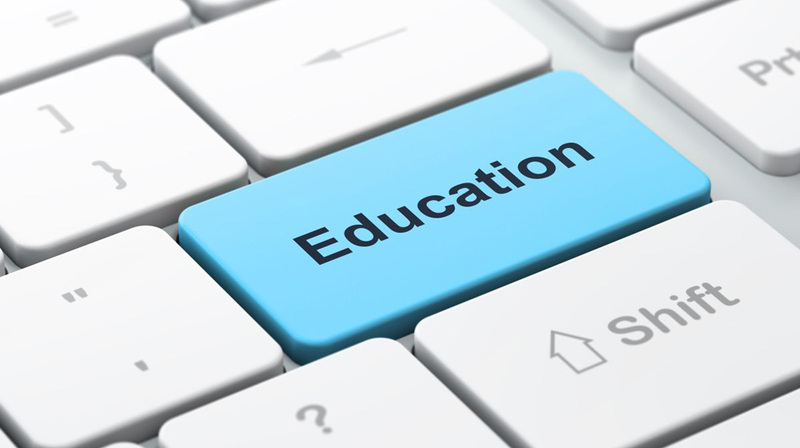 It aims to index all the world's education on its platform in all languages. It said to be India's most popular educational channel on YouTube, with 200,000 visits and 1.5 million page views each month. Vedantu is another new entrant that provides a personalised online tutoring platform for school students from Class six onwards. The website also lists over 11 reasons as to why it is better than other Massive open online courses (MOOCs) and group tuitions - such as live tutoring, two-way interaction, flexible schedules, and access to class recordings. According to sources, the service provider is equip with teachers that have been exposed to institutions like IIT, NIT, and IISc. It also confirms that its technology platform can establish a two-way audio-video connection with teacher to student at very low internet bandwidth. This is primarily advantageous for children living in villages. Delhi-based MeritNation is known to provide interactive study material to students of Classes 1 to 12th for CBSE, ICSE, and Maharashtra (MSBSHSE), Karnataka (KSEEB) Kerala (SCERT) and Tamil Nadu boards. The website retails test preparation material for engineering, medical and other vocations, and provides free access to NCERT textbooks as well. Sources claim that this online educational module enjoys a user base of over one crore users. Its courseware uses multimedia tutorials, interactive exercises, tests and analytical data reports that help to figure out strengths and weaknesses. UpGrad is another educational platform best suited for working professionals. It offers courses on entrepreneurship, data analytics, digital marketing, and product management that are being delivered in collaboration with domain experts. Founded in 2015, the Mumbai-based startup boasts about it mere nine month stint through its program in data analytics priced at Rs. 2 lakhs, while its course on entrepreneurship, which has a duration of 15 weeks costs Rs. 50,000.